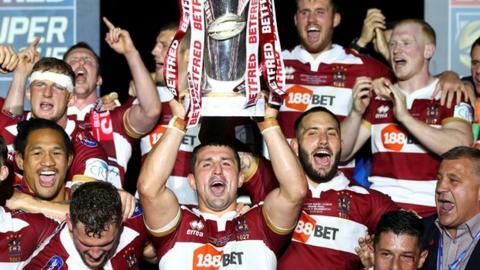 Super League champions Wigan have been given a 5 March date to appeal against their two-point deduction and £5,000 fine for salary cap breaches. The appeal will be heard by Sport Resolutions, an independent dispute arbitration service, in Manchester. The points deduction and fine, for breaches in 2017, were imposed last month by an independent tribunal. The penalty related to six separate payments totalling £14,700, not declared to the Rugby Football League. Wigan claim the breach "did not affect the competitive balance of the competition", having finished sixth in Super League, as well as losing to Hull FC in the Challenge Cup final. But they began their 2019 campaign on minus two points, and having won only one of their opening three games, the beaten World Club Challenge finalists currently stand on nil.